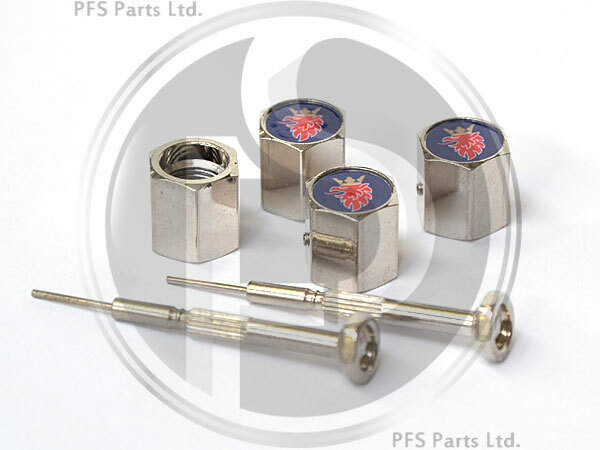 High quality OEM specification Brass, Nickel plated Saab Griffin Logo Anti-Theft Locking Valve Caps. Simply screw the cover onto the valve and with the special Allen key screwdriver tighten up the grub screw on the side. The caps are even supplied with two allen keys in case you lose one!